Why is it that I can’t keep my feet dry, even in wellies? I don’t know what it is but whenever I am shooting the coast I seem to get it in to my head that the composition will be better if I wade a few feet forwards in to the water, sometimes I get away with it but on other occasions such as this one I end up with boots full of water! 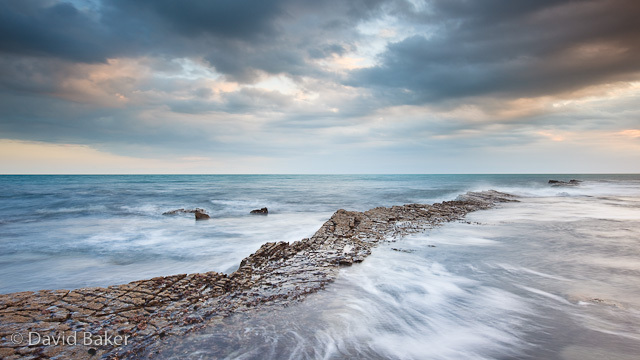 This one was taken on Saturday close to Gad Cliff on the Dorset coast, it was as I posted on Saturday a dull cloudy day, but for a few moments the clouds broke up over the sea and I managed to grab a few shots before the light disappeared. ~ by David Baker on 8 March, 2010.